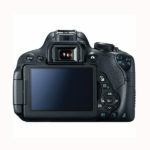 The Canon EOS Rebel T5i DSLR is compact and suitable for both photography and videography. 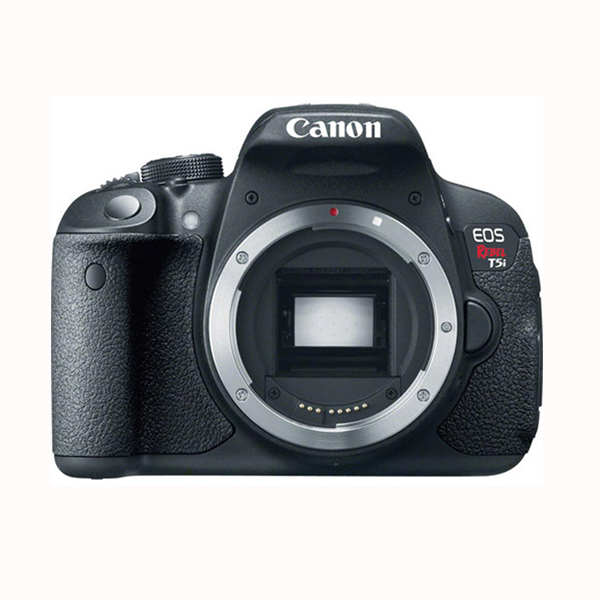 The Canon EOS Rebel T5i DSLR is compact and suitable for both photography and videography. 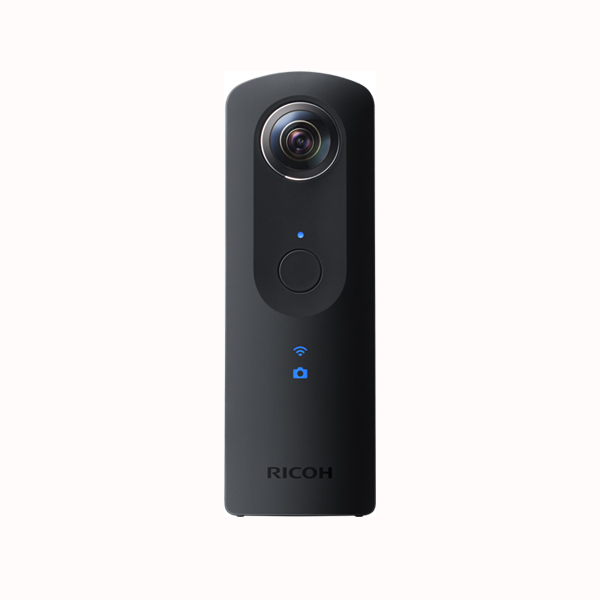 It supports a full-time Movie Servo AF mode that allows for super smooth and silent continuous AF in video mode when the camera is paired with an STM lens (rentable separately). This is an ideal feature for wedding videography, especially since you can follow this continuous Movie Servo AF in Live View on the 3″ fully articulating LCD touchscreen. Not only does this camera support STM lenses, such as the Canon EF-S 24mm f/2.8 STM or theCanon EF 50mm f/1.8 STM, but it also can shoot with EF as well as EF-S mount lenses, giving you ultimate flexibility. It improved on its predecessor, the Canon EOS Rebel T4i Digital SLR, with an upgraded grip, a fully-rotating mode dial, larger (and easier to see) labeling, and an overall better build that was designed for even less physical noise. Lastly, the sensor control system has been improved for a more sensitive touchscreen that sports better precision than in the previous model. This camera is suitable for lower-budget filmmaking, travel, and journalistic shooting. It is a high-quality (but still entry-level) camera for emerging photographers and videographers. Memory cards are not included with this rental and are rentable separately. Lenses are not included with this rental and are rentable separately. EF-S lenses are also compatible with this camera. We make every attempt to have a fully charged battery for you but we can’t guarantee it 100%. If you need a fully charged battery, please request it via the order notes. Compatible with the Canon BG-E8 Battery Grip.